By the end of last week I managed to track down the previous owner of this farm and vineyards. His name is Klaas Erasmus. 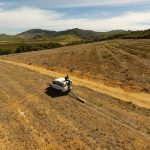 He lives about 35 km from his previous farm and, together with his son-in-law, farms with grains in the Overberg region. 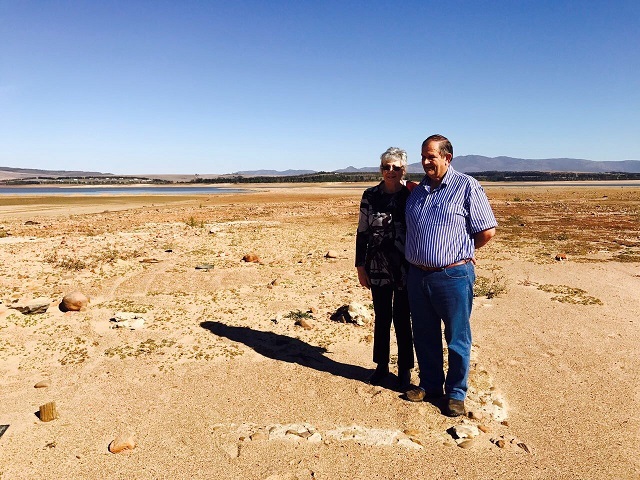 I went to visit him and his wife Lizette Erasmus on their farm called Waboomskloof early Friday morning. I was met with kindness and enthusiasm and Mr. Erasmus was quite keen to share his story and fill in the grey areas for me. Thanks to Mrs Erasmus for the photos used in this post. By 1974 the dam had reached the point where the second phase must start construction. 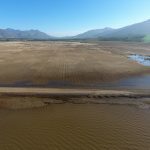 According to Mr. Erasmus this was a very traumatic time for the farmers in the proposed catchment areas, as their properties were expropriated the next year in 1975. 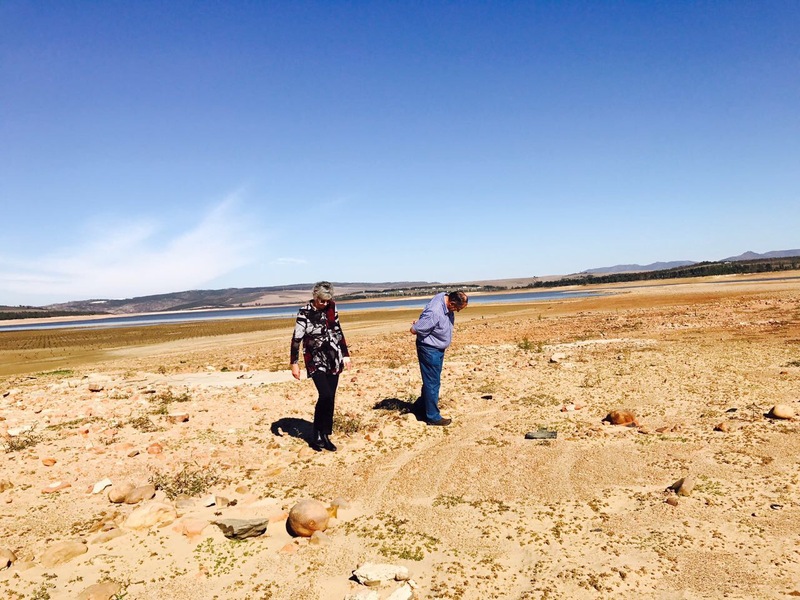 Mr Erasmus remembers the Theewaterskloof dam was flooded in 1979 upon completion. Before that the farm had quite a lot of vineyards and produced some interesting wines. 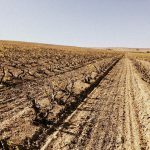 The total area the vineyards covered was 55 hectares and they produced between 1500-1600 tons of wine grapes each year. He tells me his father, Piet Erasmus, planted the vineyards we saw emerging from the water during last week. The now visible vineyards were planted between 1940 – 1950. The last vineyards where planted in 1965. He goes on to tell about the establishment of these vineyards. 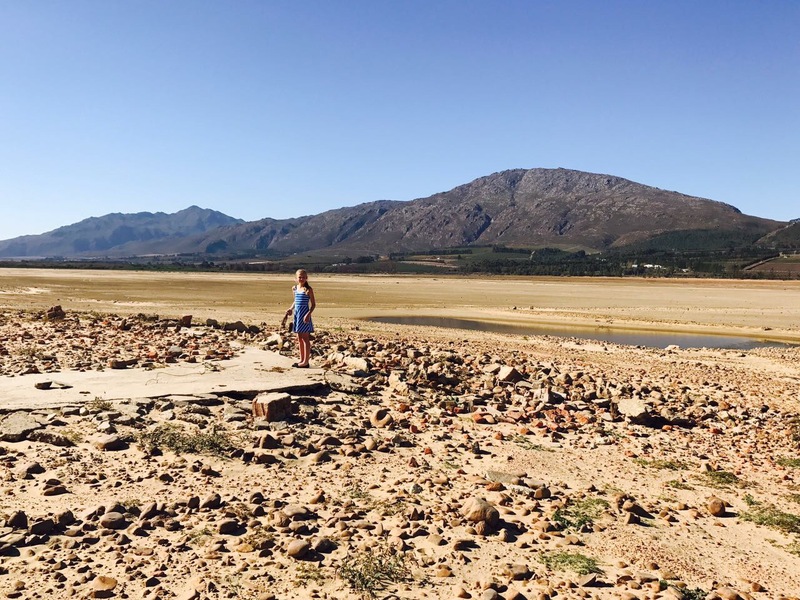 The soils are a lot like the soils of the Slanghoek valley – deep riverbeds, some places with a lot of clay. Given the fact that they were planted in an old riverbed, drainage had to be installed. He says back then they still used clay pipes during drainage installation. 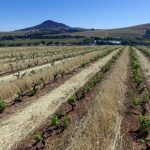 Water for the farm was acquired from the Elands river – coming from now well-known wine pocket Kaaimansgat. He can still remember the varieties and their rootstocks planted. 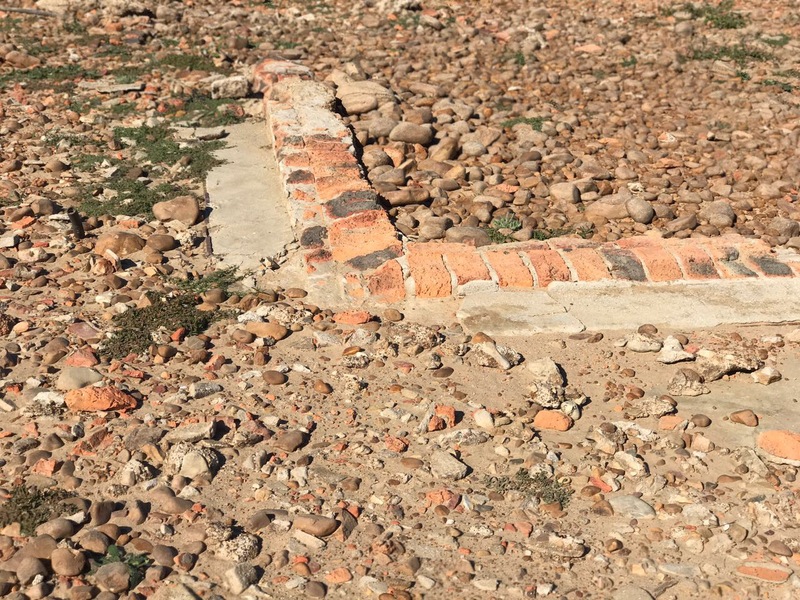 The grapes use to go to Villiersdorp Cellars, and around 100 tonnes of Chenin blanc was delivered through the cellar to Nederburg Winery in Paarl, around the years 1960 to 1970. He recalls that quite a few tons of Cinsaut grapes were taken by the Van Niekerks in Saron, to produce Kosher Wine to be sold in Johannesburg. He specifically remembers that the Cinsaut had to be picked very ripe – a detail few farmers would forget due to weight loss with very high sugars! Most of the white grapes were farmed for mass production, especially the Semillon. The Semillon was destined for brandy production at the KWV, and quotas were still enforced rigorously back then. He laughs when he tells me that your grape quota at the KWV was of utmost importance in those days, as this ensured you have a quota of brandy that you get each year – a statement that I’ve heard quite often, and this was in many cases the saving grace of now old vineyards still in production. The Hanepoot was used for Grape Must Jam (“moskonfyt” in Afrikaans) and grape concentrate, all produced at Villiersdorp cellar. So comes to an end an intensive week long investigation into the Ghost Vines of Theewaterskloof. These lost and forgotten vineyards have fueled my flame in my quest to save the old vineyards of South Africa, together with my colleague André Morgenthal under the Old Vine Project flag , and bring these vineyards and the wines they produce into the spotlight they so deserve. For these vineyards aren’t merely old and tell tales of our past, some of them produce unique, terroir driven wines in a real sense. 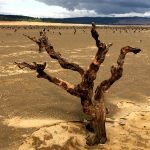 They have stood the test of time, given their all through dry seasons, wet seasons and windy seasons, and it is now time we gave them all we have to help them grow even older, and get the young vines to age gracefully too.